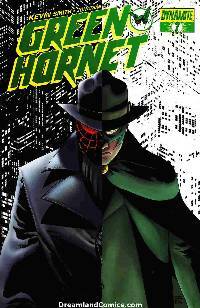 The New Green Hornet and Kato renew their fathers' war on crime, but even as they clean up the streets of Century City, the Black Hornet musters his forces for a final confrontation with the gang-busting duo. Britt Reid assumes his father's role as publisher of The Sentinel and quickly uncovers a plot to unleash a hellish new war machine that will imperil not only his city, but the world. Fighting a war on two fronts, the young Green Hornet reaches his breaking point.